Before the lauch of their Diesel Car Amaze in Indian Markets,Honda Cars launched a contest on their twitter handle. 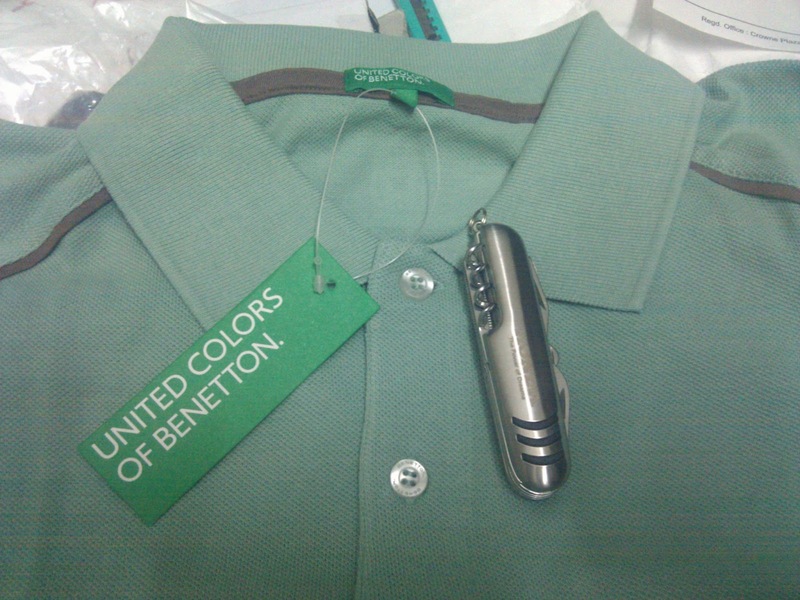 They promised to give 25.78 Litres of diesel to all the 25 winners but after winning the same I got this UCB tshirt and this multi-purpose knife. Sometimes companies changes the prizes while sending them which leads to a lot of broken expectations and anger. Though they sent the same amount of Prizes as UCB tee mrp at 1100/- rs and rs 100/- for this knife but then also Diesel vouchers would have given me more satisfaction. Thanks a lot though as it's my first UCB tee. yup! I am. thanks for your comments!